Care2 Healthy Living | What Does Cruelty-Free Actually Mean? What Does Cruelty-Free Actually Mean? Although the things that go into our body have to be labeled effectively and honestly, what about the things that go on our bodies? As it turns out, the U.S. Food and Drug Administration (FDA) does not require cosmetics to be approved before hitting the market. Their website states that, other than certain color additives, the cosmetics companies are responsible for ensuring the safety of their own products. While labeling is important for health, it is also important when considering whether or not your products were tested on animals or contain animal products. The FDA considers cosmetics to be “articles intended to be rubbed, poured, sprinkled, or sprayed on, introduced into, or otherwise applied to the human body…for cleansing, beautifying, promoting attractiveness, or altering the appearance.” This means that even shampoo or body lotion is considered a cosmetic product, so consumers can’t necessarily avoid products tested on animals simply by avoiding makeup. There are several different, independent labeling systems for cruelty-free cosmetics. Because the jargon isn’t regulated by one standard, it is important to know the difference. Cruelty-free: According to the MSPCA, the simple label of “cruelty-free” is not regulated by any laws. Basically, that means that the manufacturers can interpret what they think it means in order to put it on their labels. It can be used to imply several things: on one hand it can mean that simply the final product was not tested on animals while the ingredients could have been, but it can also mean that the manufacturer did not test on animals but a supplier could have. Not tested on animals: This phrase is similar to “cruelty-free” in that there are no legal regulations. Manufacturers can use this to mean that products are not currently tested on animals, but they have been in the past. No animal products: Believe it or not, this is an important distinction. Although certain products may not have been tested on animals, there is a huge list of hidden animal ingredients that could still be present in cosmetics. While cruelty-free does somewhat imply that there were no animals harmed in the making or testing of the product, if there are animal ingredients, that is likely not the case. CCIC Leaping Bunny: Luckily, despite the many unregulated claims from cosmetics companies, there are private certifications that make shopping for products a bit easier. The Coalition for Consumer Information on Cosmetics has the Leaping Bunny certification to officially back products that follow a very strict set of standards for ensuring that products are entirely and officially cruelty-free. 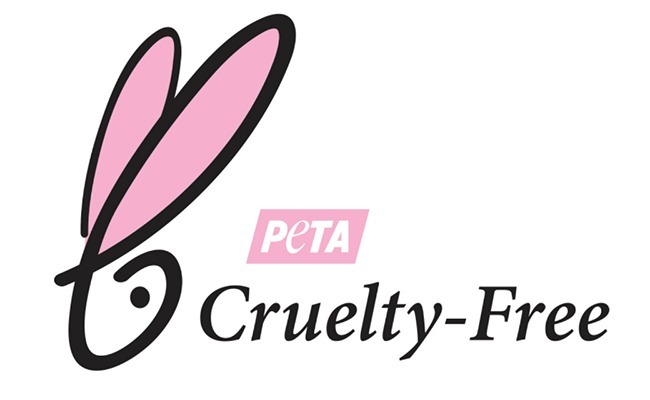 PETA-approved bunny logo: There are two levels of this certification from PETA: cruelty-free or cruelty-free and vegan. Fortunately, the level is listed right on the logo for the consumer. The PETA “Beauty Without Bunnies” campaign is one of the largest drives against animal testing, so you can rest assured that a product is vetted when it has the adorable bunny logo. Thanks Ashlyn for sharing the info and links. Thanks. That clears up a lot of things for me. It's a sad day when any creature has more value as an ingredient than it did as a living being. Ugh, I don't think we have PETA-certified products or CCIC on our labels in Portugal. I'll look into it and see if we have any similar alternatives here. After all, we are part of the EU. Have to read and read.